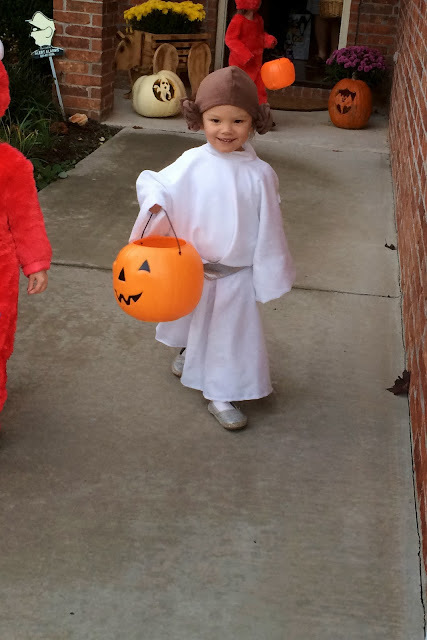 Phoebe Blogs: 3 Years Old, Halloween, and School! 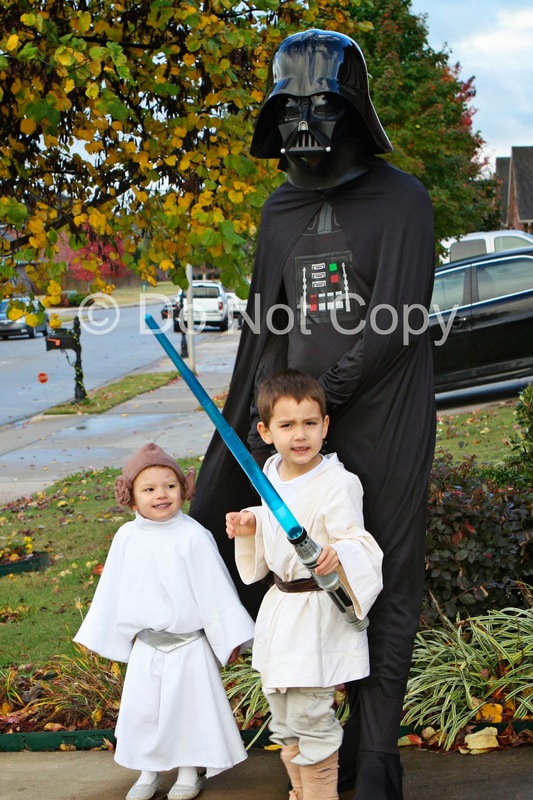 3 Years Old, Halloween, and School! She's still quite small for her age, but at least she is moving up on weight. 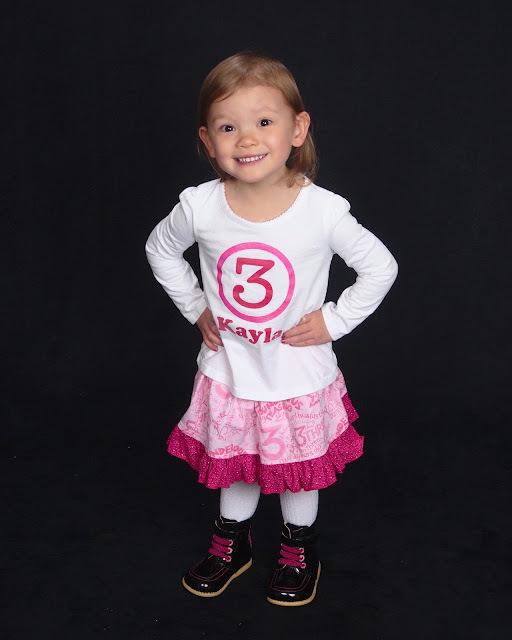 Interview with Kayla at age 3. These answers are different every time I ask her. If I ask David before her, all her answers are David's answers. 5. What is your favorite movie? I already told you. I made David's costume too. He was Luke Skywalker. 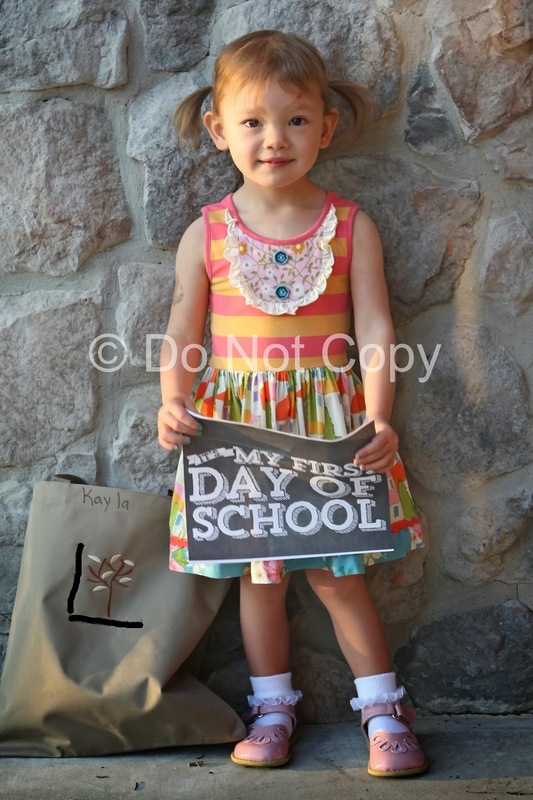 Kayla started school in October. She's going to the same montessori school as David, but she's going half days (3 hours). This works really well for my schedule. I drop off the kids, run a few errands, then pick up Kayla, feed her lunch, read stories to her and put her to nap. She naps for 2 hours. Then, we go pick up David. She started out kind of rough. She enjoys going, but she had to get used to being around other kids. After the first month, her teachers said at the parent/teacher conference that they can't really turn their back on her because she's always messing with other kids. Biting, messing up their work, marking on kids' clothes, etc. *sigh* They even had to give her a designated table to work at. They also recommended occupational therapy. However, they love her and she is such a joy to be around. She is always happy. After that meeting, I gave her a long talk about being nice to our friends. I also remind her daily that we need to be nice to our friends, so that means no biting, hitting, pushing, marking on other kids, grabbing other people's stuff, and asking nicely for things when we want it. I guess the talks are working because I haven't heard of any more incidences and her teachers say she is doing better. I took her to do a screening to see if she needed therapy, but she didn't qualify. They did think she needed a little help with her gross and fine motor skills. I have seen some improvements in her behavior. I can tell she is learning things. It's fun to hear the songs that she sings from her class. When I pick her up every day from school, she is able to tell me some of the lessons that she does. She chooses to go outside a lot. This makes David go outside more too. His teacher said he rarely ever chose to go to the outdoor classroom. However, since seeing Kayla go out, he chooses to go out all the time. I love that they are able to play together at school. She LOVES art. She loves coloring, painting, gluing, cutting, etc. The things she plays with most at home besides coloring are her baby dolls, shopping cart (with her baby doll in it), cozy coupe car, and kitchen. She does a lot of pretend playing. Pretending to cook, take care of her baby, shopping, read stories, teach, etc. It's all very cute. She is a very good eater. She will eat almost anything. However, the things she doesn't like are usually the things David likes. She loves to snack and would probably snack all day if I let her. She's able to take her clothes and shoes off and put new ones on. Okay, those halloween costumes are so adorable! what a darling family!